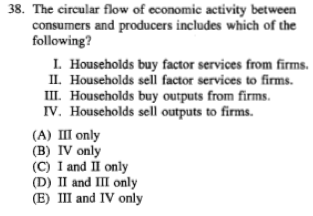 Circular Flow is tested in the Macro Exam. I have yet to find a Micro Exam question about circular flow. Since it is listed in the AP Micro curriculum you should still understand. 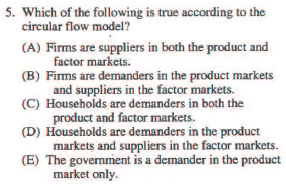 Answer - (D) Households are demanders in the product market and suppliers in the factors market. 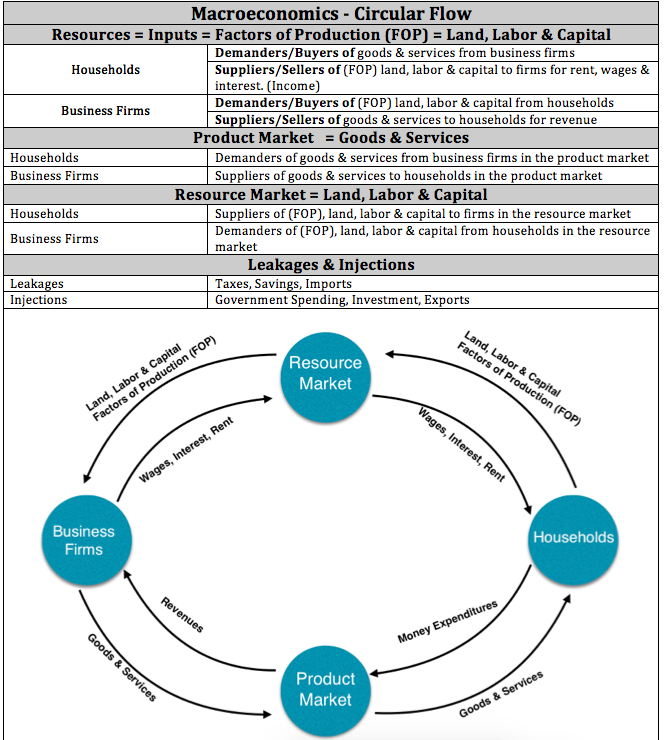 Households Demand Goods & Services and supply Land, Labor, & Capital, FOP.